Nucla-based San Miguel Power Association, CoBank and power supplier Basin Electric awarded the Apple Core Project with a “Sharing Success” grant. The grant from these three cooperative sources will assist in the installation of a demonstration orchard at the Pinion Farm Homestead in Nucla. The Sharing Success grant seeks funding opportunities that will stimulate and enhance the local economies by job creation in the area, creating and improving local commerce, offering sustainability progress and building collaboration. 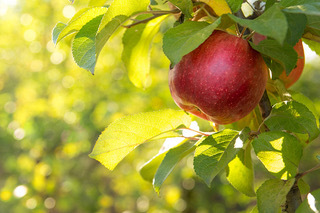 The Apple Core Project aims to identify and map fruit tree varieties on the Western Slope; to discover the stories of the people who planted and cared for these trees; to propagate local and rare fruit genetics by grafting and planting new trees in the area; and to revive the fruit growing economy on the Western Slope. The Sharing Success grant is just one way that SMPA uses resources in an innovative way to help members support the local community. Visit applecoreproject.org for more information about the demonstration orchard and for interesting historical facts about the fruit industry on the Western Slope. Visit smpa.com to learn more about how the electric co-op supports their community.